* Due to bad weather conditions, some or all parts of the event can be moved to the July 24 (Sunday). If you need place to sleep (not tent – but only empty building, not hotel) or want hot meals (approx. 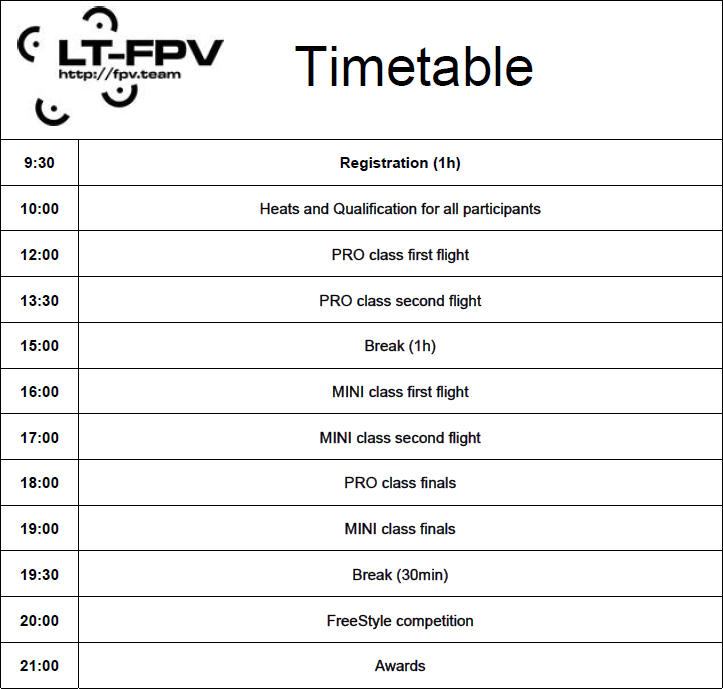 5€/person) – note that in registration form or just drop note at pilots@fpv.team. Reserve entire weekend – we decide about Saturday or Sunday only few days before race (weather!). In any case, saturday evening will be reserved for FPV party – night flying, discussing various things, singing and so on. If race will be held on Sunday – then pilots arriving on Saturday will have a chance to test track earlier (and, of course, have fun at evening together); in case we will be racing on Saturday – then you can have “free program” on Sunday (depends on weather), so – plan time for entire weekend. We have one important change in our racing rules – “Team Standings”. go fly – we will calculate score! Further reading: rules, section “Team Standings”. Likus savaitei iki pirmų 2016 varžybų…. Liko mažiau nei savaitė iki lenktynių, tai skubėkite užbaigti kas pradėta, bent jau minimaliai pasitreniruoti ir… Lauksime visų atvykstant! Atėjo laikas paviešinti lenktynių datą ir vietą. 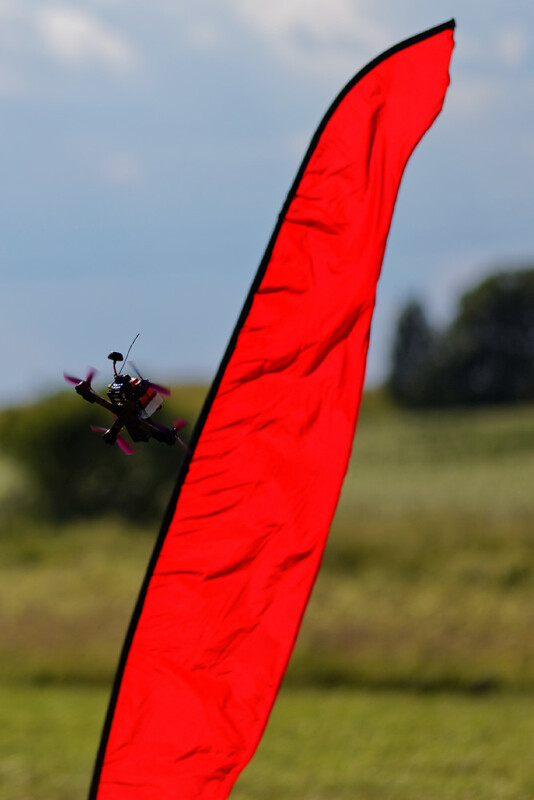 The first race of FPV minicopters LT-FPV team is planning to hold in the second half of May, 2016. As preparatory and organizational work is being held – all those who wish to participate are asked to register and read the provisional rules. This will not be an international race event so only the basic information will be provided in English language but all the guests from other countries are welcome to participate.